Only one thing is as depressing as the Unionist press’s undisguised – and completely foreseeable – glee over Alex Salmond’s apparent fall from grace. That’s the Nationalist media’s all too evident nervousness when it comes to covering what has inevitably been branded Salmondgate. Jist ignore it and it’ll go awa’ seems to be their agreed editorial line. That’s not just a pusillanimous cop-out but quite a disservice to all who dream Scottish self-determination, be it through an IndyRef2 triumph or within a radically new UK confederation. It might be an inconvenient truth for some highly partisan members of the Caledonian commentariat, but Salmondgate is fast shaping up as the worst crisis ever to engulf the Scottish National Party. That thorniest of thistles needs to be grasped by advocates of independence. Let’s face it, for almost three decades Salmond was synonymous with Scottish nationalism, both north and south of the Border. Time and time again, sporting his trademark smirk, the SNP’s chieftain smartly manoeuvred to “make Westminster dance to a Scottish jig”. Now, suddenly, the jig could be up for Salmond – whether the jury finds him guilty or innocent. And Nicola Sturgeon might get dragged off the political dance floor alongside him. Whatever the outcome of the former first minister’s forthcoming criminal trial – in which the current First Minister could also face cross-examination – it is well nigh impossible to imagine either of these forming dancing partners waltzing away completely unscathed from a woeful state of affairs for all concerned. Every element of the corporate media in London, as well as in Scotland, can’t wait to have a field day chronicling and commenting upon what, given the length and gravity of the charge sheet, seem sure to be drawn-out proceedings. The Scottish trial of the century (and pre-trial period) can only be a prolonged distraction at this critical juncture when the Scottish Question should be top of every national news agenda. While the Scottish dimension to the great Brexit imbroglio is being regrettably diminished, we need to ponder serious an equally crucial question. What is the likely fallout from such a seismic development as Salmondgate, not only for a pair of FMs (past and present) but for the future of the SNP and for the wider pro-IndyRef2 movement? Addressing that important issue is perfectly within the boundaries of existing media law so long as it is done, of course, in compliance with the Contempt of Court Act (which I’m being careful to abide by in this posting). My own response to the political question I’ve just posed is this: even if the current crisis does destroy the political careers of Salmond and/or Sturgeon, it needn’t end up being totally devastating to the struggle for Scotland. Since an early point in the 2014 referendum campaign, the fight for Scottish freedom has been a true mass movement whose awesome strength isn’t drawn from solely one political party or personality. To her immense credit, Nicola has made that point herself in recent weeks. The power of the people should always take precedence over the people in power – whether they’re wielding their power at Westminster or Holyrood. And the primary mission of the Fourth Estate (or exemplars of the Fifth Estate such as this site) should surely be to hold the powerful to account. Without fear or favour, as we say. I quote this not for egotistical reasons. (Who wants to be described as dour or a Nat?). I cite it simply as supportive evidence that I walk the talk when I appeal my fellow Scottish journalists not to duck getting stuck into any story, whatever their own personal political convictions. By far my main disappointment, though, was with the political coverage, which seemed like a print version of an SNP party political broadcast. I completely get that you’re keen to hook your core target market…but the Sunday National cannot just ignore the storm clouds gathering above Scotland’s governing party and simply play to an applauding gallery. Now, more than ever, the SNP needs critical supporters. I take your point about the political coverage…It’s a tricky one because there’s more than enough criticism of the SNP in other newspapers and I know (because they have told me) that many of our readers find it difficult to accept continued attempts to criticise virtually everything the SNP does. So first we need to establish the context of our reports and that criticism is well-founded rather than knee jerk. I think we will do that over the coming months. Give us time. To which my response now is this. I’ve given the Sunday National (and The National) plenty of my time since my return to Scotland last autumn. Aye, it was a smart move to bag an exclusive interview with Alex Salmond, in which he called for a truce in his “uncivil war” with Nicola Sturgeon. But that scoop has been totally eclipsed by the subsequent shocking events – events no self-respecting editor should seek to downplay. Really and truly it’s high time the entire nationalist/self-determinist media stopped simply preaching to the converted and started speaking truth to power in Scotland – whoever that might upset. Anything which falls short of this vital endeavour just isn’t serious journalism in my book. Nor is it making a valuable contribution to the development of a vibrant democracy in our land. Rob, I’m afraid I can tell you are a professional journalist by the fact that you describe Salmond’s legal case as “Salmondgate”. I don’t mean that as a compliment. To talk of Salmondgate, is already to tacitly suggest that there is something scandalous here. So far, there is not. The way mainstream journalists write and think is sensationalist and biased, in this case against Salmond who is entitled to the presumption of innocence until it is proven otherwise. Salmond has an ongoing legal situation at present, and nothing else. There is no “gate”…. Well said, Redgauntlet The matter is sub judice which we might have expected the writer to understand. His ”trademark smirk” is hardly an unbiased comment. No, I think that it is all too apparent what Rob Brown is about despite his attempts to persuade us otherwise. Redgauntlet (not your real name, I presume? ), I wrote in my intro that this undeniably sensational story has inevitably been branded Salmondgate, which is why I continued to refer to it as by that useful shorthand term. I wrote nothing which suggested, or even mildly inferred, that the former SNP leader is guilty of any criminality. Not only have I lectured in media law and regulation at several university journalism schools, I believe passionately in everyone’s right to a fair trial (having spent considerable periods of time in countries where the rule of law doesn’t remotely exist). Even if we were not bound by the Contempt of Court Act, we should all await the jury’s verdict before commenting on the actual allegations levelled against Alex. But continuing to ignore the political elephant in the SNP’s room at present is ostrich-like behaviour – especially if you claim to believe in the Scottish Nationalist cause. Trolling doesn’t make a mature contribution to that cause either – especially under a pseudonym. Which is why I denounced Nationalist and Unionist trolling in a recent Sunday Times Scotland article. I realise my associating with MSM will make me even more of a suspect in the eyes of some subscribers to the site. But, never forget that MS stand for mainstream – something the Indy movement needs desperately to engage with if it to ever make its dream a reality. I have been posting above and below the line on Bella since 2011, you’re the new face around here, not me. Nobody has ever accused me of trolling – which is a smear – and I sign below the line as it pleases me, like most posters do. It’s none of your business and has nothing to do with the matter at hand. …and then we get this constant smear of the independence campaign, which is that the tone of the debate is somehow to blame for the fact that YES didn’t win last time. Andrew Wilson argued as much yesterday in The National, that is we all just “listen” and are “persuasive” YES will win. Yet Wilson is a big fish in the SNP. The fact is that Scotland is run mainly by Unionists. That’s why we lost on 18/9/14. The Scottish bourgeoisie are fanatical Unionists and they control the mainstream discourse. A good example of that mainstream discourse is you writing that the Salmond affair was “inevitably branded as Salmondgate” in your article, and in your subsequent post that this is “a useful shorthand term”. Let me take issue with that. What is inevitable about it? As I point out in my post, the impartial way to refer to the matter is “the Salmond affair” or the “Salmond legal case”. Clearly, as a writer, you have a choice in terms of the language you use. There is nothing inevitable about parroting what the MSM says. On Bella Caledonia, certainly not. You know as well as I do – though younger readers might not – that to attach the word “gate” is to refer to the Watergate Scandal back in the 70’s when a US president, Richard Nixon, ordered his political opponents to be spied on through mass surveillance and bugging and then, when caught, tried to cover it up. Nixon was guilty of one of the most scandalous crimes ever committed in the US democratic political system. So, to refer to “Salmondgate” is to allude to that scandal, however faintly. Rob, I hope that you can understand why you are in the wrong to use the suffix “gate”. Redgauntlet has provided quality contributions for years on Bella. I appreciate his point that “gate” denotes scandal. Your writing is (perhaps unintentionally) biased because of the use of this suffix. I have used my real name but care more about the quality of Redgauntlet’s contribution rather than what his name is. It is all very well criticising the pro Indy press for ignoring the prosecution of Alex Salmond, but you signally fail to suggest what they do, except by your omission, indulge in the personalisation of the Indy movement. I also note your suggestion that the Indy movement engages with the MSM, but again without suggesting how. From your lack of positive input, one must question your declared impartiality. Over the past few months Salmond & Sturgeon have ruined the best Indy argument, the one based on the idea of Scottish Exceptionalism, that says we’d have a more moral & transparent government, & a new & better kind of politics, after Independence. Why Bella Caledonia has published this article is pretty much beyond me. How does Alec Salmond’s legal case affect Scottish independence? Not at all. Only a journalist could even ask such a ludicrous question. Personally, I don’t give a FF about Salmond’s legal case. I, like most other people, know nothing about it at all. The courts will decide the matter in due course. If Salmond is found guilty or innocent, it will not affect my opinion about Scottish independence at all. Why would it? And why would anybody who seriously wants Scottish independence, which has never been more essential, spend a second on speculating about Salmond’s legal affairs right now? I should like to express support for the points you have made in both posts. Like you, I know nothing about the details of this matter. I am not a member of the SNP or any other political party. My position is that people who feel they have been harassed should not be inhibited from making a complaint no matter who the alleged perpetrator is. This matter should be investigated according to an agreed procedure. The person against whom the allegation has been made has the right to be presumed to be innocent until it is shown that there is a case against him or her and that a disciplinary hearing should be held, which will make a decision and, if the complaint is upheld, a suitable sanction should be imposed, and this could include referral to the police. The person feeling he/she has been harassed always has the right to go directly to the police. In the interests of fairness, there should be an appropriate degree of anonymity and a restraint on comment, such as by the press. If there is a genuine public interest, and I believe there is one, in this case, then, following the procedures, there should be publicity, which protects the rights of the victim,if it turns out there has been one. If Mr Salmond has behaved inappropriately, this should be dealt with. However, this would not affect my view that independence for Scotland is a good and valid cause. For many apolitical uncommited Scots Salmond was the public face of Indie1. His [as he saw it] supine SNP were complicit in the charade of the great man, happy to feed the ultimate of egotists thoughts, wishes and dreams. That included as I remember the claim that his greatest wish at the end of an exhausting week was no more than to head north for a game of Scrabble with Audrey. You might find this of little or no consequence as quite frankly I do; that said it is newsworthy, many Scots are interested [ a wee bit schadenfreude methinks ] and Bella is far from ‘bizarre’ in its reporting. Last weekend I was party to the lack of interest in this news story while having a bevy in Livingstons Saltire Bar. AYE RIGHT. Whatever the rights or wrongs here the fact is Salmond creates news and nothing the SNP ever did tried to curtail the fact. Has to be a lesson there. If the journalist of this article has referred to “the Salmond affair” or the “Salmond legal case”, well that would be one thing. But to refer to “Salmondgate” is quite another. It leans towards the idea Salmond is guilty of something, albeit without spelling out what, and we simply do not know any of the facts, cannot therefore have any judgement on the matter, and are not entitled to an opinion by law. The legal affairs of Salmond are none of our business. By the way, the thing about most professional journalists is that they seem to be trained to write badly, to repeat cliches and soundbites, to look for the salacious and to incite scandal, like the village gossip. They rarely write critically or think for themselves, or so it seems. Their function in most cases appears to be is to obfuscate rather than ask questions and seek to clarify, exceptions to the rule notwithstanding. This article is a good example. Again Redgauntlet, I refer you to my reply to your first tirade (see above) and repeat my gentle request that you stop hiding behind a pseudonym. Take off your mask and engage in the public sphere in a open and mature manner. Redgauntlet – I totally agree with your sentiments. The “press”, usually MSM but not always, try to personalise serious topics. It cheapens debate, and panders to the unthinking. Take a look at the Sun newspaper as a perfect example. I have been convinced of the need for Scottish Independence all my adult life. It is patently absurd to suggest that the outcome of Alex Salmond’s trial would/should affect my beliefs or politics. So can you move on to doing what you suggest the media in Scotland needs to do (given that you and Bella are part of the 4th or 5th Estate)? Maybe in a comment below the line, or in a follow up article? What are the implications of this process for Politics in this country – for gender politics and for the politics of self-determination? You are right to say it’s implications need to be considered. Now it would be good to hear you considering it! I’d be delighted to respond to your challenge, Justin, and hope Bella Caledonia will provide me with a platform to do so. Rob, In addition I would like you to consider how 3-phase politics could work where our current system has failed. Political power can operate on the same principles as electrical power. While almost everyone will not have a clue it is the duty of reporters to seek out the information and put it to their readers. I personally would like to see changes at UK and The SNP are there, they just need guidance from outside their core membership. Can you just explain to me first what you mean by 3 phase politics and the parallel with electricity. I’m a total dunce when it comes to DIY. In single phase there is Live wire, Neutral wire and an Earth wire. The Earth wire does not contain any power its there for fault protection. In 3-phase there are 3-live wires, Neutral and Earth. The House of Commons reacts to a single phase phase, one political party in power. If we had a system where three political parties shared power we could have a 3-phase system. Our current system with House of Commons and House of Lords is an unbalanced system there are unequal numbers of Male and Females. A 3-phase balanced political system would have equal numbers Of Males and Females. Westminster could operate a balanced 3-phase political but the Scottish Parliament would be restricted to a 3-phase unbalanced system. The Earth wire has no power it can be likened to the general public who can monitor events, raise alarm and start an emergency enquiry: Similar to action of activating an emergency pull handle on a train. Our UK system of politics is antiquated/broken its open to abuse and can be incompatible with EU as the BREXIT Irish border backstop has shown. Scotland is suffering as a direct result and would be better off as an independent country if change is not made. Scots are generally well aware of the problems and know what they want and that is not BREXIT. It is time writer’s like you enlightened readers of real alternative ideas. Our politicians should have the right tools and technology to share power and communicate more effectively. 3-phase will provide better representation. In electrical systems 3-phase is more powerful and in used for industrial loads is there is a case for us to have a more powerful government? That is for the electorate to decide. Rob, In addition to my 3-phase idea Christina will enable communications via having an architecture similar to Neural Processing Integrated Circuit. The message is Scotland can be a fully independent country and be part of a bigger system whether that is with rUK or Europe. What makes things work better is the space to allow separation. As a writer you will understand the importance of space between letters, words, paragraphs and . This is the same for program coders who make today’s communication platforms possible. All systems need appropriate separation. On a side note it has been reported via some other sources that Donald Trump believes God wanted him to be president. Donald Trump will never be in Charge of Christina’s United Kingdom. – The Christina Project. Is this a Scotsman article? Stop trying to make seismic happen, it’s not going to happen. Whatever the outcome of the Alex Salmond case it only highlights once again the desperate need for a lead from the Scottish government to introduce everything that is needed for children, teens and adults to be informed, feel safe, know what is acceptable behaviour within society and consequences for not respecting it. 2. The very clear consequences for any one found to have broken the rules of acceptable behaviour. This to be introduced into all schools , educational establishments, places of work, all institutions and sports clubs. Let us think for a moment that it is well known that the vast majority of girls, boys and women never report the sexual assaults on them for all kinds of reasons. It takes a tremendous amount of strength to do so. Establishing such a framework as outlined would greatly help to improve things throughout society. It is such a pity the named person scheme has been held back as this could have been one more service that would give much needed support to children very much in need. Instead of using it as an opportunity to damn the SNP the other so called progressive parties should have given it critical support and helped to make it work as quickly as possible. Evidence in other countries show it works very well. Only the religious right wing and the Tories are as usual against it’s introduction in any form. Just as they do not support giving children the same protection from violence as adults have. The whole tenor of this piece is that of a cheap shot journo seeking to sensationalise the allegations against Alex Salmond. Guilty or innocent the piece gleefully opines that it will do for him, and very possibly. Nicola Sturgeon too. Well Mr Gunn, you may say that you are an under respected journo but your piece comes across as anything but. A journilistic prostitute who I fear would take a commission from any of the MSM. Smarten up or shut up. You are correct. Typo acknowledged. Must chastice proof reader. Rob Gunn, or should I say Brown is still a cheap shot journo . Willie, the M&S in MSM stand for the Mainstream and the Indy movement will need to connect more successfully with far more of the mainstream population across Scotland if it is ever to turn its dream into a reality. The opinion polls have barely budged since September 2014 even amid the horrors of Brexit. Perhaps Alex and Nicola have been a little too distracted of late by what Alex himself called their “uncivil war”. His words, not mine. AS is claiming he is innocent of any criminality. That might prove to be the case. It doesn’t mean he is innocent of scandal. Even scandal wouldn’t matter much if power within the SNP wasn’t so tightly centralised – a situation created by AS and passed on as part of his legacy to the current Party leader. The SNP needs more internal democracy and a much broader leadership base. I like “the power of the people should always take precedence over the people in power “, and no better time, I’d say, for Rob Brown to remind us. There are lessons to learned on all sides from the failure of Indyref1. Criticism does make a valuable contribution to the development of a vibrant democracy, it aids the a ability to make changes. The SNP reason for being in government is to deliver an independent Scotland, to that end failure rests with them. Indyref2 is unlikely to happen unless there is an overwhelming public demand. BREXIT may be the catalyst but it is up to Indyref supporters to resurrect matters at the wider grassroots level. Rob Brown is spot on re the behaviour of the pro-Indy media. It seems to pander to an audience that, with apprehension, it views as snowflakes. It seems to select anything which knocks the WM government, is blatently anti-English, trots out the party line with all the enthusiasm of Pravada, and carefully ignores any situation which might show the SNP in a bad light. This either denotes a lack of confidence in the political nous of readers…or is a worrying taste of things to come when Scotland is independent and its Parliament has real power. Independence will not be won by churning out party propaganda – but by encouraging a national debate on every aspect of Scottish life. Thank you, Mr Robertson. What you say is pretty obvious to anyone who realises it isn’t healthy for any political party in a liberal democracy to descend into a personality cult and that a successful campaign for Scottish independence cannot be be founded on Anglophobia or governing by grievance. That can only take the Independence cause so far – as evidenced by the IndyRef1 result and the failure since September 2014 to build a firm majority in favour of national sovereignty. By claiming the Indy movement is based on Anglophobia you have just proved how out of touch you are. It is not about Anglophobia it is about democracy and self determination. We are a nation and we have an absolute right to determine our own destiny. And as for grievance? My God! We haven’t had a government we voted for in 50 years. For decades we have been dragged along a trajectory that is detrimental to our interests, our values, our resources and our capabilities. How dare you suggest that this is a minor irritation we ought to humbly endure. Those who deny that there is a significant problem with Anglophobia in Scotland has never sat in a Scottish pub when the plasma screens are showing England up against any other nationality. What does ABE on all those T-shirts stand for? Anglophobia and Bigotry among Erseholes? I been writing editorials and op-Ed’s in favour of Scottish democracy and self-determination for decades and probably have appreciate the importance of open debate than pseudonymous (and semi-pseudonymous) trolls on this site. I’m also an Anglophile, if you care to know. My love of England stems from living and working south of the Border for a number of years and raising my children there. One of the biggest attractions of Scottish independence to me is that it might soon put a stop to all too many Scots blaming the English for everything. That’s what eventually transpired in the Republic of Ireland, which is why I very swiftly became a Hibernophile when I lived in Cork and Dublin. Sincere apologies in advance if you find all of this mildly (or even majorly) irritating but I’m simply telling you the truth – and the truth will set Scotland free. Nothing else. Again Rob Brown, to come out with the old anglophobia line is typical of the mainstream media. There is some anglophobia in Scotland, but there is some Scottophobia in England too, though that is never acknowledged. And where is the evidence that the anglophobia in Scotland has anything to do with the drive for Scottish independence? There is none as far as I know. It’s just another prejudice dressed up as fact. There is plenty of anglophobia in Spain – also anglophilia depending on who you ask, at least there was before Brexit – not least because of Gibraltar. Does that make the Spanish supporters of Scottish independence? The evidence would suggest otherwise. Mr Brown: once, in a wee pub in the Netherlands, we were asked our nationality by the amiable barman. We said that we were Scots. He laughed and said: not English, then? We said, no, Scots. Just like us and the Germans, he chuckled. I have heard similar things from Canadians about America, from Norwegians about Sweden. It is normal, not an aberration, and it is a world-wide phenomenon in wee countries with large neighbours, who sometimes throw their weight around. The reason that what you call ‘Anglophobia’ and most of us in the independence movement, whether SNP or otherwise, would call ‘well-earned resentment’, is because of that NO vote in 2014. For three-quarters, almost, of any group to vote in that way, there had to have been an underlying reason. With the older voters, it can be put down to financial anxieties, and that is understandable in a way that voting NO because you are English, Welsh or NI is not, I’m afraid. For starters, if you have been in Scotland for fewer than ten years, you might just be passing through, and students and short-term workers come into this category. Many NO votes came from this sub-group within that larger rUK NO group. Please justify that, if you can, Mr Brown, beyond misplaced Anglo-centricity and the arrogance of the neo colonialist? Financial anxiety? Perhaps, to some extent, but the rUK group in Scotland is also one of the better-off social groups. An abstention might have been the wiser choice in such circumstances, wouldn’t you say, unless there was an imminent and real threat to your ability to remain in Scotland; there was none, and the opposite was the case, as ‘civic nationalism’ embraced and enveloped all-comers. The EU nationals, who also voted NO, did so, but in far fewer numbers, and I know this is fact, because many were told that they would be repatriated after independence, in a flood of anti independence propaganda that tried to show that Scotland would be thrown – thrown, mind you, although, prior to 2014, not one, single state or part of a state had been asked to leave the EU, let alone having been thrown out. This is what is termed ‘reverse racism’, and it has succeeded in all recent indyrefs, including the Quebec two, and what it means is that a group within the independence-seeking country/province/colony, and which is not native to that part, seeks to undermine the bid for independence of the indigenous people (52.7% of native Scots voted YES in 2014; 47.3% of native Scots voted NO in 2014). Now, whilst all in Scotland, regardless of origins, and who are qualified, have the vote, and rightly so, and may vote as they please, rightly so, to use that vote, with all the goodwill behind it, to deliberately stymie independence says something about those who used it in that way. That is why there is post indyref resentment towards rUK residents in Scotland, not because the Scots are racially or congenitally, or in any other way, prone to anti-Englishness or feel themselves to be superior, or are inherently racist, because we are not. I would say, if rUK residents in Scotland – and we must remember that many did, actually, vote for independence, just as many down south would support our bid for independence, the English having long been a liberal nation, despite appearances with Brexit – want to understand why there might be some resentment, that is probably the main reason. Many Scots have woken up to the British Union, and it seems less than equal and fair to them than they have been led to believe. Some of us always knew it was. That was to be expected, and I do not believe that trying to crush or to silence that quite understandable resentment should be called anti-English. That there is not more justifiable resentment and anger is a bigger wonder, wouldn’t you say? The reasons that we have been unable to build on the independence vote is because, as has not been the case in any other indyref in recent times, anywhere in the world, the MSM is totally, with one honourable exception, pro Union, and it spews out a constant and consistent deluge of lies and skewed figures, fallacious nonsense and mendacious and perfidious undermining of culture, language and mores in favour of alien ones; in other words, it is one, powerful arm of a state that has many powerful arms and does not hesitate to use them against us, in a concerted effort to persuade the Scots that they are a lesser form of humanity, with no right to any of the freedom of thought and action that others take for granted. Again, this is a perversion of reality, because it is the state itself that has the greater need of us. That intelligent Scots like you, Mr Brown, buy in to this total ordure and horse manure, and actually do the state’s work for it, is a crying shame, but not unexpected in this prolonged perversion of reality called the Union. The sooner we are gone, the better before we succumb completely. To do that, we must avoid a repeat of 2014 – ask the Quebecois about that one, about ‘persuasion’ and about neo colonialism – and to do that, we must either avoid another indyref completely (but continue to campaign and rally and march) or run a parallel legal route via the international courts and the UN to dissolve the Treaty of Union, which would have the efficacy of both repudiating the Treaty, and, therefore, the Union, on grounds of illegitimacy on the part of Westminster (well-documented and founded). The UN must be petitioned, too, and made aware that it has become almost impossible now for us to win any indyref via a pre-independence referendum. A ratifying referendum after dissolution of the Treaty and an international court ruling, plus UN sanction, would have the moral strength of international recognition, too. This must be started immediately. We have the legal brains to do it. Do we have the will? What? Not this total ordure again? The independence movement and the SNP are not based on any personality cult, and they are certainly not anti-English. FFS, when nearly three-quarters of one group votes against or for anything, that is telling you something. What we have never even dared to discuss is why nearly three-quarters of one group voted NO. If three-quarters of all Scots, of whatever origin, voted YES, we would be cheering from the roof tops, so it is equally incumbent upon us to ask what we would do if nearly three-quarters of all Scots, of whatever origin, voted NO, is it not, and, then, work our way down to asking why each group voted the way it did? The rUK group alone has never been analyzed because we quiver with fear at that mantra: it’s anti-English to ask why so many English people in Scotland voted against independence. Some genius came up with the answer: because they are, naturally, going to be more attached to England than Scotland. Oh, right, so we can just count them out of the ‘persuasion’, then? It must be ‘natural’, then, for Brits who emigrate to New Zealand to vote for re-colonization because, folks, that is the logic. Stop this nonsense. It is a profound and damaging lie. We do not discuss Mr Salmond’s case because to do so could be construed as acting sub judice. Already, in my opinion, he cannot receive a fair trial: a) because almost every detail has been leaked into the public domain by a certain newspaper, and discussion around its articles on the subject; and, b) because it will be extremely difficult – I would say, impossible – to find a jury whose members are neutral in their political and/or personal opinion of Mr Salmond. If the studies done into juries in sexual cases are to be believed, women have a lesser chance of getting a fair hearing either, particularly on female-heavy juries, strangely enough. Police Scotland will have brought every charge to bear that they could, but they might not all make it through to the next stage, in any case, and it might just be the more serious allegations that are tested, but, even then, I doubt that Mr Salmond can receive a fair trial where a jury of his peers sits. The judge will be as neutral as any human being can be, I am sure, but he/she will be sorely tested by the political notoriety and public perception of Mr Salmond, and the public galleries might be hard to control, as well. The whole timing of this affair, no pun intended, stinks, and whilst I subscribe to the c**k-up theory rather more than the conspiracy theory of politics, the timing of this, for both Mr Salmond and Nicola Sturgeon, and, indeed, the SNP and independence movement, not to mention Brexit, would appear to depend on the completely random theory of “all the cards falling in the right way at the right time in the right place and in the right context” (for some). I agree with Redgauntlet and others that this article is out of touch with public feeling. It is written from inside the media bubble. Salmond was a marmite politician. You either loved him or loathed him. I’ve done both in my time. His current difficulties will have no impact on the Indy movement or the SNP of which he is no longer a member. Remember there is more than one way to skin a cat. He may be out of politics but we have not heard the last of him. Not for nothing is he called Smart Alex. One way or another he is going to survive this. He will live to fight another day. 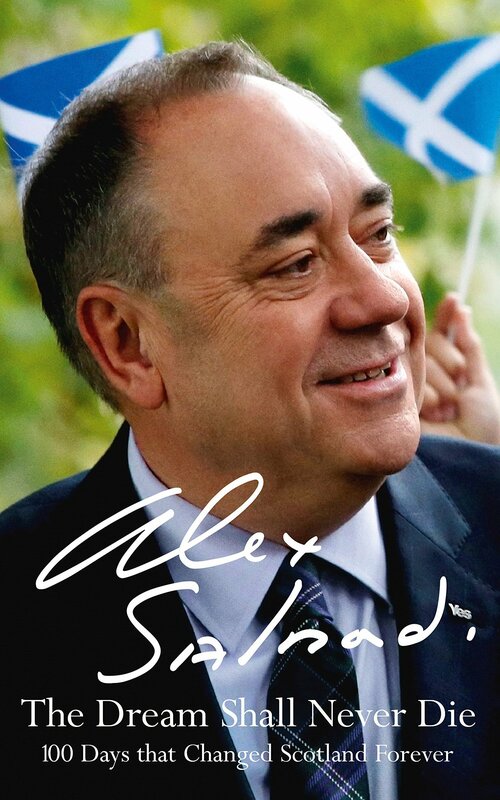 So Salmond’s upcoming court trial (and its long prelude) won’t impact on the Indy cause because he has temporarily handed in his SNP membership card, but he is going to bounceback and live to fight another day? Nicola’s worst nightmare, I’d have thought, and the surest way to write off any remaining hopes of Scotland ever achieving the democracy and self-determination you purport to support. Dream on MBC, and make sure to keep concealing your identity behind your initials. You might truly embarrass yourself otherwise. Respectfully, I disagree. Salmond is not finished. And the independence movement does not depend on personalities but on justice. The Brexit negotiations have shown the complete contempt that the UK establishment has for Scotland. While I agree that the pro-Independence media spends too much time ‘preaching to the converted’, I think that using Alex Salmond’s forthcoming trial on serious criminal charges as evidence is misguided. It is plain that this will impact negatively – though not necessarily terminally – on the Nationalist cause. The response of Nicola Sturgeon (and implicitly of the rest of the independence movement) is to downplay its importance. This strikes me as a legitimate tactic. If a football team’s star player is ruled out by injury, the club seeks to minimize its impact. In private, it may even be used as a means of galvanizing players/supporters into greater effort. Since I, like Redgauntlet, ‘hide behind a pseudonym’, might I gently request that you accept the rules as laid down by the editor who has invited you to write your piece here. Point taken. I shall, of course, respect your right to remain mysterious since that was option was available when you signed up to this site. “FRAMED” “NOBBLED” ” SET UP” “SHAFTED” “TAKEN OUT” take your pick, its what the powers that be do best, they have been doing it for 300+ years. end of.!!!!! I have to say I am a bit shocked at the poor quality of Mr Brown’s article and his responses to comments here. He seems to be operating with a very small journalistic toolkit indeed; “Salmondgate”, “Anglophobia”, “Preaching to the converted”, “distracted by “uncivil war””. He may well have many year’s experience in journalism, but it appears to be simply the one year repeated many times. What exactly does he mean by “the Nationalist media” ? All those broadsheets, red-tops, Radio and TV channels that endlessly spout “SNP-Good” propaganda? Er…no, just the one, small newspaper actually. Thus, in Rob’s “…Primary Mission to hold the powerful to account. Without fear or favour, as we say…..”, ( “I can honestly claim to have been guided by that noble principle throughout my media career”), he attacks a newspaper that is the sole pro-independence voice ranged against an anti-indpendence mainstream media which is many orders of magnitude more powerful. It seems to me tactically foolish, in a highly asymmetrical battle, to publicise any weakness in your own camp. However, I don’t even think that is what is happening. I’ve been supporting Scottish Independence for ten years or more and the current Salmond affair is seen by me, and other “Yes” folk I associate with, as a sideshow to Scottish Independence. It will be sad if he did what he is accused of and very, very disappointing and shocking, but one politician’s sexual behaviour is a small footnote in the movement towards a nation’s self determination. Salmond may have been the “face of independence”, but only to those outside the pro-indy movement. Frankly, who cares what they think of Salmond now; they hated him then, they hate him now, they will hate him after his day in court. He’s old news. I think he was a bit of a wind bag myself and far too self-important. Rob’s childish response to criticism of his work is to ask posters to “unmask” themselves. Presumably because having a pseudonym on a public blog which may be monitored by state actors and that discusses a highly controversial topic, undermines the credibility of the poster. Well, sorry Rob, some of us don’t use our given name as our “brand” and don’t earn a crust by creating controversy. Quite the reverse. For myself, as a self-employed small business owner who makes and sells things, I have to keep my political and work spheres very separate. Not “noble” like you Robb, just harsh reality. PS: Aye, The National can rightly be criticised for being partisan, it annoys me at times. Sorry Rob. Misspelled your name. Thanks for your considered comments, Will. I now understand the reluctance some of posters to identity themselves on this or any other site and have already conceded in an early reply that Ah Wiz Wrang to get so tetchy about pseudonyms. Maybe wise, as you say, for some of us to keep oor masks on! Some hide their identity for a reason I restrict mine to protect Christina. Who can tell these days if they are responding to a human or an AI bot like Google, Siri, Alex is? The Chief Engineer likes to protect what is His. Ok, as a political activist for about the last 60 years, you develop a keen sense of awareness when something is not right, and when there is some kind of deep-state operation going on, to “Deal with” people that the State does not like. This is one of those operations. The timing, the strange behavior and criminal misconduct of the three women involved in the recent Civil court case, which the Judge said was “Illegal”, and much else, are all snippets of evidence that something deeper is going on. The Senior civil servant, Evans, broke the law. She is in public office. Absolutely nothing has happened to her. Instead of being suspended, arrested and charged with serious criminal offenses, (there is a list of them) she is home and away, “Scot Free” as they say. How curious. Ditto, her two complainants. Meanwhile, there is a so-called legal gag in place, forbidding certain things from even being discussed. Perfect. How convenient. However, I have done my legal research on that injunction. There was a good reason for that. It is a Scottish Injunction. It prevails in the Scottish State and its separate legal system. It has no power of force whatsoever, in the jurisdiction of another state, with its own legal system. If, in Sweden or Scandinavia, in say, Sweden or Norway, or in Ireland, and which have their own legal systems, it has no injunctive power whatsoever. Guess what?……The Scottish legal system, anms its injunctive power, stops exactly at the Scottish border. In another country, which has its own legal system, it has zero power. I am astonished that trhe penny has not dropped yet. England, and its seperate legal system, is also such a state. I am, in fact, writing this from across the border. The Scottish judges have no power to stop me doing so. The injunction has no effect whatsoever, in England. I am astonished then, that nobody has stopped to confirm this elementary fact. But it is true. Enforcement of Scottish court orders in the English courts is a long and torturous process, and in this case, would have zero effect. I am not subject to any Scottish Court. (because I am not in Scotland). So: If any Scottish judge is upset at what I write, tough!. Craig Murray the well known Scottish writer and commentator, has already written forcefully about the recent linked civil case, that was forcibly ejected by the Judge, and denounced as illegal. He is of course, a Scottish resident. I am as concerned as anyone about the situation in this trial. It is clearly questionable, given the present politics of Scotland, and the current political BREXIT crisis, that this trial has been subjected to a level of secrecy that is outrageous. It can only make the situation worse, and raise questions. I thought that one of the fundamental principles of such a trial was that it was done in public, heard in public, reported to the public, and much else besides. This has effectively raised a storm of suspicions that irrespective of his being found not guilty, his reputation and standing are going to be seriously damaged. This is why the idea of not having trials hidden in secrecy is so important. It has now become much more important, due to the behavior of the Judge in this trial, that the right of public legal proceedings has to be protected. it is not being protected in this case. This is the blunt truth. I am taking my rights to speak, as someone outwith the power of the Scottish courts, about this, as it is so important. Before this trial goes any further, the totally suppressive power of this injunction needs to be closely looked at. it is an affront to open justice. Saor Alba. Mr Ennis: whilst I agree with you that the coincidences that appear to have led to Mr Salmond’s being charged under the allegations are questionable, to say the least, I don’t think we can ascribe secrecy to the proposed trial. Sub judice is normal in this context, and it prevents newspapers, hostile to Mr Salmond, in the main, from printing damaging information which might not be 100% accurate. On-line policing is far less secure, of course. There has been no injunction either (interdict in Scots Law) but the circumstances surrounding this come under the auspices of the Contempt of Court Act (Scotland). I think it is already too late for that, and that Mr Salmond cannot receive a fair trial because his presumption of innocence has been breached irreparably, in my opinion (and it is just my opinion) on the count of the leaking to a certain newspaper and on the count of its being almost certainly an impossibility to ensure that a neutral jury of his peers could be found. Mr Salmond is just too hot politically. If it goes ahead, I believe it will be a farce, a show trial, and the women themselves will not have received their due, either. This has not been to anyone’s benefit thus far, and I include Nicola Sturgeon and the two original women who made the allegations against Mr Salmond. Not only has it been a shining example of how not to conduct a procedure, but it has also been an opportunity to make political hay by the usual suspects who care not a jot whether Mr Salmond must be extended the presumption of innocence, but they care not a whit more for the rights of the women who made the allegations in the first place, having been, if that claim is true, winkled out of obscurity in order to do so. Does not this ‘episode’ (and similar ‘episodes’ before) not reflect how worried (and increasingly desperate) the British establishment is about the prospect of Scotland’s independence? Perhaps, and due in large part to Brexit and its outcome, Scotland is rather closer to independence than many of us think? It is common knowledge throughout Europe that the people of the UK are the worst served by their so called national media. Doubly so here in Scotland. The UK media has been entirely weaponized to serve the interests of spivs, charlatans and sociopaths. Anyone still of the opinion that these agencies provide impartial reportage of events is simply denying reality. The near hysterical headlines, deliberate omissions, opinion disguised as facts and outright lies have confused and befuddled the residents of these islands for decades, if not longer. In this context, it was only through the herculean efforts of those who came before us that the premise of an independent Scotland were able to have their voices heard. Alex Salmond and Nicola Sturgeon, along with many others, spent their lives toiling in the political wilderness due to the almost universal antipathy of the British establishment towards sundering the Union. The coming of the internet provided a new medium which could not be controlled by the powers that be. The rise of the SNP as a political force in Scotland parallels the spreading use of this new technology. Just as Facebook, Twitter and Instagram provided the means for progressive individuals to initiate the Arab Spring, the flourishing use of the web with blogs and sites like bella, common weal, wings, wgd, et al, initiated a renaissance in Scotland whereby the Scottish independence movement could bypass the controlled message of the old media platforms. The leveling of the playing field that the web now provides, allows any and all to present their own opinions, free of the dead hand of publishers/editors to shape their message. The web allows us all the opportunity to remediate the excesses of the traditional media. Even the meanest of us now have a powerful tool at our disposal to fact check the ocean of disinformation which passes as “news” in these lands. The British establishment has a long history of employing dark arts against its opponents. Prior to the advent of the web, the targets of these underhanded tactics were practically defenceless. Accusation of malfeasance alone was often sufficient to destroy individuals and movements in the eyes of the electorate. We have seen modern versions of these tactics ourselves with the despicable treatment of Michele Thompson and the smearing of independence bloggers in the “Scottish” press. I see “Salmondgate” as merely the latest and most salacious iteration of this malign strategy. I can’t help but remember the old truism that the bigger the lie, the more readily people are willing to believe it, is at play in this exercise. Nonetheless, the web continues to be the only platform available to the independence movement to present its view to the general public. I accept that bella disdains the SNP as not radical enough for its tastes. It has also often expressed its hostility towards the populism of Alex Salmond and the cautious maneuvering of Nicola Sturgeon. But I find it deeply ironic that bella should lend itself to this voice from the past of the traditional media. Mr Brown is just another who seems bent on presenting the aspiration for independence through the lens of unproven allegations against individuals who have spent their lives working towards home rule for our nation. I suggest in future you leave the mud slinging to the British press. They have more than sufficient means at their disposal. You only make yourself their useful idiots by repeating the narrative they have chosen to impose on the independence movement. I don’t agree with your characterization of Bella Caledonia’s attitude to the SNP as “disdainful”. Bella can speak for herself, but as I see it, Bella generally adopts a critical stance to Power, and it is 100% right to do so. That includes the SNP govt who run Scotland. Why wouldn’t it? Bella also likes to promote debate, and I guess that is why Bella decided to published Rob Brown’s article. In any case, people like Rob Brown need to be won over for independence to be attained. “the SNP govt who run Scotland” ? Do they really “run Scotland”? Did you never watch Yes Minister and Yes Prime Minister, Redgauntlet? And that was in a supposedly real UK Government, not a ‘devolved’ (audience laughter) government setting! Isn’t this ‘episode’ people are discussing here about who really ‘runs Scotland’ and about who is “prepared to defend the status quo at all costs” and the numerous ways in which that may be done? I think most probably there will be a second referendum, and most probably, Scotland will vote for independence this time. We’ll be saved from the worst – though not all – effects of Brexit. But not much else will change is my bet. Guys like Rob Brown will be writing in the Scottish papers, guys like Andrew Wilson will be advising the Scottish government, guys like Angus Robertson – who recently celebrated yet another Anglo-American film about a Scottish subject, with no Scottish creative elements involved – will be leading a new party / movement which will be supported much more than RISE, say, because it will be backed by the Scottish middle class and the Scottish establishment. Plus ça change, plus c’est la meme chose…. I can see it all now Redgauntlet, as the burning UK Brexit airliner piloted by Farage and Johnson with May and Gove heading cabin crew (suffering a direct hit from Brussels) rapidly spirals doonwards into the Atlantic, and oot the back door the privileged bourgeois Scottish middle class union brigade are frantically bailing out, parachuting homewards to save their wee bit hill an glen in Bonnie Brigadoon, as Englandshire is left behind, submerged in civil strife. Hey! That pretty depressing, RG. As an independence supporter for fifty years, I’m confident ‘Scottish culture’ will endure, hopefully changing with time. I don’t have a TV licence but I’d be very disturbed to think that what people choose to watch on TV is any business of the Indy movement! Again, I must endorse the stout defence of Bella Caledonia being presented here, and, I too, recognise that Mr Small is more than capable of defending himself spiritedly. I do not agree with everything that is published on the site, but, with few exceptions I find what is published relevent, interesting and usually challenging. Since I first starting visiting the site daily – pre 2014 – I have found that it is providing the kind of articles which are sadly lacking from the bulk of the ‘mainstream’ media in Scotland, particularly with regard to news and current affairs, but also with regard to cultural matters. However, I know that the BBC is a particular bug bear for many – including me – in the pro-independence movement, but, away from news and current affairs there are many places where there is informative and engaging features on aspects of Scotland, Scottish culture both here and now and across the globe and in the past. Whatever else Mr Small and Mr Rob Brown have down with this current article, they have sparked a lively discourse with very little that could be termed ‘trolling’. Keep it up, Mr Small. You have my support both moral and financial. RG – My point is arguable. I don’t doubt Bella’s support for the cause of independence. I just don’t see the point of continually arguing about how many SNP politicians can dance on the head of any particular pin. At the moment, the SNP is the only widely popular political tool available to the independence movement to accomplish their will. Independence is the only policy that unites the entire membership of the SNP. If it fails to uphold this policy, it will disintegrate. Just as the Parti Quebecois did in Canada. Torn apart by the inherent contradictions of its own membership. In essence the party is a microcosm of all political viewpoints extant in any country in the world. There are conservatives for independence and labourites for independence. There are probably even lib-dems for independence. Looking for consensus on any particular policy choice is a fruitless exercise. But unlike “Brexiteers,” independence and SNP supporters alike recognize that the EU is not responsible for the economic decline and possible ruin of these lands, but the deluded weaklings and crackpots housed in Westminster. The only real way to turn people towards independence is to hammer home this fact every waking moment of the day. All else is simply distraction. There are many paths a future independent Scotland might tread. There are an abundance of articles available on this very site which are visionary in their scope on these very issues. But they are all simply exercises in navel gazing without independence. I have a profound trust in the pragmatism of Scots. I also trust that future generations of Scots will use they’re new found independence with wisdom and forbearance. I see no point in locking them into one economic model over another, at his point in time. It will be their choice. My only motivation is to give them that choice. Everything else is secondary to that purpose. Arguing about the credibility of this individual or that, or of this policy choice or that, adds nothing to the goal of achieving independence. Highlighting the utter incompetence of Westminster is the only real tool that will. Unlike the Leave campaign, we at least will be on solid ground using this argument. The evidence is overwhelming. More’s the pity. Given Mr Brown’s pro independence leanings, and his journalistic background, I have to wonder why he does not point his critique towards the greater threat facing Scottish society. His article does not advance the cause for independence in any way I can see. Indeed, it seems to be just more navel gazing. Another who has fallen into the error of failing to see the forest, for the trees. Aye and Donald Trump, where will he be? He doesn’t own anything in England. Who would want to own anything in England at the present time? As for Pres Trump I expect he will be whacking a golf ball round one of his courses. I respect your unstinting idealism, John, but you seem to be forgetting one awkward fact: it isn’t the MSM or provocative commentators like me who have chosen to start rocking the SNP’s boat. That’s been caused by the “uncivil war” raging between Alex and Nicola (Alex’s words, not mine). On a more positive note, I do have another post in the pipeline for Bella which will critique not just the threat to Scottish society but the growing threat to the survival of life itself in this land. Watch this space! My own critique was not clear that I consider the bickering between SNP politicians, both past and present, to be just as counter productive as the contributions of those standing on the sidelines. The current and former First Ministers are just as prone to taking their eyes off the ball as any of us are. They are only human – just like the rest of us. But I do not doubt either’s sincerity in striving towards an independent Scotland. In my own opinion, the arguments over the timing of the push for another referendum, or the employment of other legal mechanisms which may lead to independence, will be less shaped by individuals as they will be by events. Our fate is not entirely in our own hands. We must continue to hold onto the hope that the breaks will go our way, when the moment for decisive action arises. Petty infighting only alienates our natural allies. Given the central feature of their personal dispute is now sub judice, it is probably best that all parties within the movement refrain from speculation on possible outcomes, until after the dust settles. No doubt the “British” press will continue to keep us misinformed. I myself am on my way to the Arctic next month to participate in an on going international study into the “health” of the Arctic pack ice. An issue of global concern to the scientific community. An issue which barely sees the light of day, due to the parochial concerns of the uninformed, and often deliberately misinformed, residents of this fragile planet. As someone who has spent his entire working life in the field of atmospheric science, I look forward to your perspective. Yes John, the deterioration of the Arctic pack ice – coupled with the startling new projection that a third of the ice in the Himalayas and Hindu Kush could melt before 2100 – really puts all our petty squabbles in this small country into perspective. My own primary concern at present, with Trump and Putin squaring up to each other and a number of other states becoming increasingly belligerent, is whether any of us will see out this century. That’s what I would like to shift our focus to. Good luck with your scientific expedition and bring back a couple of chunks of ice to help the rival camps in the SNP cool off!